Laos is a landlocked country squeezed between China, Thailand, Vietnam and Cambodia; it has a small population of about seven million yet it’s almost the same size as the UK. A 50,000 year old skull was found recently; the oldest evidence of a modern day human in South East Asia. Proof of an agricultural society dates from over 6000 years ago. 4000 year old bronze tools and iron artefacts dating from 3000 years ago have been found. Laos came together as a nation around the Fourteenth Century when the kingdom had the beautiful name of Million Elephants or Lan Xang. The country expanded to its present borders in the 1600s. King Sourigna Vongsa started with 2 sons, but as intrigue is the norm with royalty; one was executed for adultery, the other fled the country after being caught in bed with his half sister and sentenced to death. The King died in 1694 without an heir and the country split into three parts. Thus weakened; the north was invaded by the Burmese and the south by Siam (Thailand). As late as 1874 the Siamese conducted cross border slave hunting raids. A few years later the Chinese bandit army the Black Flags invaded. In 1893 France rescued King Oun Kham and added Laos to its Indochina protectorate. The three areas were reunited and Laos was safe again. France left Laos relatively untouched using it as a buffer between British occupied Thailand and its own lands. The French did however enact a law making all adult males do 10 days manual labour a year for them. During WWII Laos was occupied in turn by six different countries, briefly after the Chinese left in March 1945 it became independent. Then a month later the Japanese invaded. At the end of the war in 1946 the French reoccupied the country until 1953 when France lost the first Indochina war. With the Geneva peace accord signed in 1954’ Laos was again an independent monarchy and America started to financially support the Royal Lao Army against the communist Pathet Lao guerrillas. President Ho Chi Minh of North Vietnam had agreed in 1954 not to interfere in Laos but secretly aided the Pathet Lao. From 1958; Soviet backed North Vietnam (NVA) conducted secret night time border attacks, then quickly withdraw leaving the Pathet Lao to control the new territory. This terrified the Royal Laos army and whole units deserted rather than face the ghostly attacks. The NVA then controlled large parts of Laos which they needed to construct the now legendary Ho Chi Minh Trail. This huge project would later enable munitions, fuel, supplies and manpower to travel south from Hanoi once hostilities commenced a few years later. The American Govt department the NSA later called the trail the greatest ever military construction programme of the 20th Century. By 1968 the Royal Laos army had disappeared and the Americans started recruiting the Hmong Tribe as their secret army against the NVA. Trying to destroy the Ho Chi Minh Trail; American planes dropped an average of a bomb load every eight minutes on Laos from 1964-73. That’s nine years at $23 million a day. More bombs were dropped on Laos than were used in the whole of WWII. Since then America has donated $53 million towards bomb clearance. After the Vietnam War finished in 1973 the Hmong tribe helped the CIA defend the Royalist Government. Then in 1975 when the communists took over; the Hmong found themselves attacked in retribution by both the new Laos rulers and the Vietnamese. Hundreds of thousands fled to Thailand to live in refugee camps. In 1989 Laos agreed to repatriate some of them but most refuse to return. Those that have often disappear. Hillary Clinton’s husband when President back in 1995 refused to help the Hmong people as he denied they were being persecuted. His political opponents stated it was a betrayal of a people who had spilt their blood defending American interests. The Republicans forced him to publically acknowledge the huge secret war in 1997. Then 8 long years later; some Hmong were allowed to resettle as political refugees in America. The ‘Secret War’ during the wider Vietnam conflict had both the main adversaries infiltrating Laos for their own gains. In the Orient people are renowned for taking the long view; the North Vietnamese began building the Ho chi Minh trail in Laos back in 1958 as they planned to retake the south in the years to come. North Vietnam defied the 1954 Geneva Accord when they agreed not interfere in Laos by taking over the border areas and then forcing local Laos people to help with the trail’s construction. America for its part recruited the Hmong tribe as their proxy army and used all the technology at their disposal to disrupt the ever growing supply routes from Hanoi in the north. America never officially had any boots on the ground in Laos. On one occasion however a CIA spotter plane ran out of fuel and the crew landed in Laos to refuel. The American Ambassador almost choked on his Ferrero Rocher when he found out. Over two million tonnes of bombs were used in Laos between 1964 and 1973. Cluster bombs were used extensively by the Americans with 270,000,000 being dropped. Of these an estimated one third failed to explode. That’s 80 million left in rivers and fields or lodged in tree tops and cliff faces. The manufacturers of these ‘bombies,’ designed and painted some of them to look like fresh fruit or drinks cans. Since 1973 over 50,000 people have been killed or maimed by these lethal remnants. 40 years later and still over 100 people are year are blown up. The Convention on Cluster Munitions (CCM) was adopted in May 2008; countries were invited to sign the treaty on the 3rd December at a conference in Dublin. Laos was one of 94 countries to sign up immediately. The United Kingdom also signed and the then Prime Minister Gordon Brown declared all Britain’s stockpiles would be destroyed. Many countries refuse to sign the treaty; America and Israel now find themselves as bedfellows with China, Russia, North Korea and Pakistan as countries opposed to the ban. The Pentagon’s policy is that these awful weapons are humane. In 2006 Barack Obama voted to restrict the use of these weapons while Hillary Clinton voted to keep using them. The first CCM meeting was held in Laos in 2010; as recognition of its horrific cluster bomb history. The charity MAG, have been clearing Laos land since 1994. In the past ten years over 10,000 acres have been returned by MAG to Laotians to farm and nearly 200,000 bombs destroyed. From July to December last year almost 90,000 people were helped by MAG to start farming again. It will take decades more as all 17 provinces were affected with approximately a quarter of the country still contaminated. Another charity POWER set up by Briton Mike Boddington has worked in Laos for 20 years supplying prosthetic limbs. Mike was awarded the MBE in 2010 for his work. In all there are over a dozen humanitarian missions trying to return Laos to normal. Its estimated it would cost $16bn to make Laos safe; at today’s prices America spent $60bn doing the damage in the first place. Laos is one of only five communist states; yet international markets are opening and a stock exchange is now open. The country has massive water resources and is investing in hydroelectric schemes to sell half its generating capacity to Thailand and Vietnam. Vietnam still has a big influence and it’s alleged that most illegal logging is done by the Vietnamese People’s Army or companies they own. Tourism is big business growing from 80,000 visitors in 1990 to about 2 million now. Europe named Laos as the world’s best tourist destination in 2013. There are ancient temple complexes, wild tigers and the increasingly rare Irrawaddy dolphin swims in the Mekong River. Laos’s cuisine is also highly revered and the national beer is Beer Lao with a new brand called Lan Xang launched recently in honour of the original name of Laos – Million Elephants! Clutching our cut out paper kitchen we returned to the big blue that’s IKEA,; they have the same layout the world over with the room designs and assembled furniture upstairs and then the Market Place below. There’s no escape as to get out, the entire store has to be traversed. It’s worse than airports where the gates are only accessible by funnelling passengers through the ludicrously overpriced ‘duty free’ shop. Armed with the ludicrously sharp free pencils, brochures and our trusty diagram we zigzagged our way past acres of beds and sofas until reaching the relative calm of the kitchen zone. Oh joy! We opened cupboards and drawers revealing all manner of gadgets and discussed the minutiae of what door handles would look best. We waited to be seated at a desk where yellow clothed people turn dreams into reality. I noticed that people who’d arrived after us were jumping the queue. That’s not British I thought then I saw them handing in pagers to the yellow people. No signs to tell hapless souls what to do but we deduced that we had to queue for a pager, then we queued again. Just a short hour later and we were beeped to come and sit at a high table on very uncomfortable stools with yellow girl. Yellow girl admired our diagram as it would make her job easier. Her fingers whizzed over the keyboard and our virtual but empty kitchen was soon on the screen in front of us. The centre piece of our kitchen was to be a wall unit that held the fridge freezer alongside wall to ceiling basket shelves. As an estate agent I’d seen these wonderful things in owner’s kitchens and made no secret of my desire to one day possess one myself. After wasting 3 hours of my life on the IKEA website the other day, it was the first, last and only thing I had managed to put into our virtual kitchen. I had even opened and closed the drawers online. Disaster struck as yellow girl told us the unit was discontinued. So back to the drawing board and our jigsaw was now next to useless. We sat for an hour and a half on the painful seats and rearranged our kitchen. Time came to print off our order list and pay. Hmm, that seems expensive we thought but at least we had pretty pictures of our kitchen to be from all angles and reasoned yellow girl knew what she was doing. But when we asked to pay, yellow girl twisted the knife and told us we couldn’t pay, as a man had to come and measure up. Yellow girl then threw us to the ground and gave us a good kicking telling us we would then have to return and repeat the whole ordering process again before we could finally pay. Full of despair we wondered why we had we asked IKEA to build the units for us? Now truly despondent we trudged off through fields of furniture to reach the stairs down to the burning fires of hell; otherwise known as the ‘Market Place!’ Mr IKEA surely had Dante’s nine circles of hell in mind when he designed this hell pit. Dante has a sign on his gates of hell that reads ‘Abandon hope all ye that enter here,’ so should IKEA. At the bottom in the gloom, entire families gormlessly shuffle past stacks of stuff. Everywhere people are clutching hot dogs and ice creams with no intention of buying anything else. Huge trolleys try to break feet and ankles; people clutch blue bags with sharp things pointing out of them dangerously at eye level. Crying children and lost grannies add to the maelstrom. Every so often the sound of breaking glass is heard. There’s no escape; all 9 circles of hell must be passed to reach salvation otherwise known as the EXIT. First up limbo, people randomly stop in the middle of the aisles and cause pile ups. Second lust, shiny things piled temptingly everywhere. Third is gluttony, just one more hotdog, oh and some chips and an ice cream. Fourth is greed, as none of this stuff is needed but still people buy it! 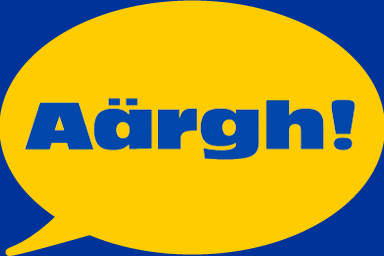 Fifth is anger as I now hate humanity and IKEA in equal measure. Sixth is heresy as I question the existence of God. 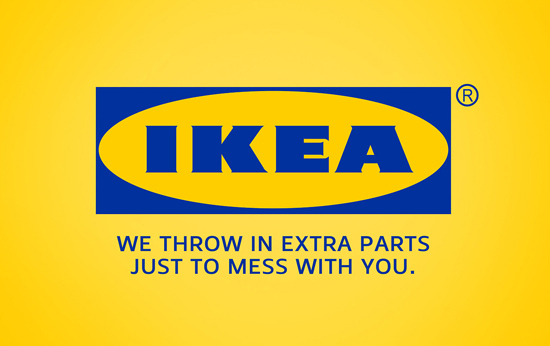 Seventh is violence, I want to run everyone through with an IKEA curtain rail. Eighth is fraud, shoplifters are lucky as they get arrested and escape in police cars. Lastly is treachery, I seriously consider making a break for it leaving my wife Katherine admiring the garden furniture! Inspiration has many sources for my weekly scribbling’s; the impending French Grand Slam tennis tournament lead my dear wife Katherine to mention she needed some facts to Twitter out as part of her job at William Hill. So quicker than a ferret up a drainpipe I delved into the short but incredible history of Roland Garros. Born in 1888 on Reunion Island in the Indian Ocean, Roland Garros initially wanted to be a concert pianist, studying music in Paris. When he went to the Reims Air show in 1909 the flying bug bit him. He took flying lessons and earned pilot licence no.147 in 1910. This was the beginning of powered flight; only a few years earlier in 1903 the Wright brothers had flown and steered their heavier than air Flyer for the very first time. Garros joined the Moisant International Flying Circus; he performed extensively in North America including Mexico in 1911 for President Diaz. It was a sales demonstration to show planes were perfect for reconnaissance. Mexican troops took cover and Garros successfully located them from the air. 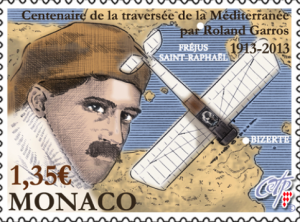 Garros took part in the world’s first endurance races; flying from Paris/London/Paris he took second place. He also took part in a Paris-Madrid race. In Tennessee in 1912 he set an altitude record reaching 16,240 feet and smashing the previous record by over 2000 feet. The air was so thin the engine stalled yet he managed to glide safely back down to earth. 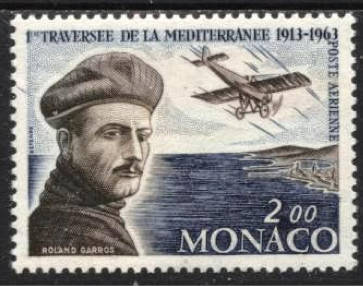 In 1913 Garros made the first successful non-stop flight across the Mediterranean; he flew 500 miles from Frejus in Provence to Bizerte in Tunisia. Ironically when WWI broke out Garros was in Germany teaching military aviation. He flew at night to Switzerland then to France where he joined a French squadron nicknamed The Storks. At the beginning of the war planes were used for observation and opposing pilots if they met each other shook their fists at each other and glared menacingly. Later they took up bricks to drop on each other, revolvers were next. Natural escalation meant machine guns were then mounted on the sides of the flimsy aircraft. The problem was that it was impossible to fire straight ahead as the propeller would be destroyed. Roland Garros had the idea of fitting steel deflectors on the blades to protect them from the bullets and mounted a machine gun behind. On April fool’s day 1915 he became the first person to shoot a plane down using a front mounted machine gun. Over the next fortnight he shot down four more German planes. An American Newspaper first used the term ‘Ace’ to celebrate his 5 kills. Garros’s luck soon ran out and he was forced to crash land behind enemy lines. He was captured before he could finish destroying his plane and he was interned as a POW. The deflectors were copied and added to German planes. Fokker also examined the aircraft as he was already working on a more efficient machine gun. Fokker’s ‘interrupter gear’ synchronised the firing of the machine gun to the turning of the propeller. It was added to German fighter planes 3 months later with devastating effect. Garros managed to escape from the POW camp on Valentine’s Day 1918. He re-joined the French Army and flew again and had more kills. Then on October 5th a month before the end of hostilities, he himself was shot down and killed by German Ace Hermann Habich. It was the day before his 30th birthday. 10 years earlier whilst studying in Paris, Roland Garros regularly played tennis at the club which, in 1920 was named in his honour! It’s a Leo thing apparently; the trait I have of leaving some things to the last possible minute. At school even with all the holidays to do my homework, it would still be done Sunday night before term started again. At secondary school even though it was a 9am start we weren’t officially late until registration finished at 0925. I guess the leeway was in place in case a school bus ever arrived late. Being the only Catholic school for miles around 90% of the students were coached in from across Surrey. For those that walked to school the system could be played, sometimes I would crawl out of bed at the last possible moment, walk the 15 minutes to school and be there for what I reasoned was ‘in good time’ which was about 0923. The school had the grand title of Saint Peters and Merrow Grange RC Comprehensive, so named as it was 2 schools separated by a 200 yard walk down a quiet lane. Until 1971 the upper school had been a convent school for girls (Merrow Grange) and the lower school a boy’s school (St. Peters). There were extra-long breaks between classes as we often had to walk between the two buildings. Merrow Grange was a mock Tudor manor house with a grand wooden staircase and floors that creaked beautifully when trodden on. The school had a good reputation for music and the music teacher Mr Carter had the grandest room of all. It was big enough to use as a recital room, with a vaulted ceiling, balcony and huge leaded bay windows. He must have loved coming to work; I certainly did as he was my form tutor for two years. Students were banned from climbing the tiny circular staircase to the balcony, but if left unsupervised momentarily, we boys would take our chances. The stairs lead further up to the mythical attic where we supposedly would have been expelled if ever caught there. Sadly it was padlocked and I never got in. The Grange also housed a convent with ancient nuns within. As newbies aged 11 and 12 the older boys as a rite of passage scared us with the legend of a ghostly Blue Nun that wandered the attic rooms at night carrying a light. In hindsight ‘Blue Nun’ was also the brand name of a popular wine but we fell for it. Merrow Grange was built in 1868 and one owner was a keen botanist planting Sequoia/Giant Redwoods and other exotics throughout the then 45 acres gardens. The gardens were landscaped with Pulhamite an artificial stone. Sunken paths, ponds and artificial hills were created which are now all overgrown. The most interesting part was nicknamed ‘the caves’, again we were strictly forbidden to enter. It’s actually a Grade II listed grotto with a sunken fernery covered by an iron work glazed roof. A winding staircase leads down to a dark tunnel with only one way in/out. When the Pulhamite was mixed 100 years ago something alike to glitter was added and by candle or torchlight the walls shimmer magically. We would jump the school fence at weekends to explore the overgrown gardens and caves, night time made it more adventurous. I tried my first and last ever can of Carlsberg Special Brew at the Grange, the old Unwins off-licence was run by a great guy – Graham I think he was called. Chain smoked like a good-un he did and had no problems with us aged 14-15 buying a few cans of beer and 10 fags of a weekend. Once my mate John Fergus went and hid in the tunnel. We searched for him but gave up; we had almost reached the exit when the sod terrified us by screaming ghoulishly from behind us with a torch held under his chin making his face glow red. John had discovered a tiny cave in the roof of the tunnel and had hidden up there whilst we passed underneath. Then Gollum like he clambered down to scare the living daylights out of us. Happy days! Until the age of seven my life was a bit of a blur; I don’t mean I can’t’ remember much, it really was blurry as I was diagnosed with myopia, severe short sightedness of minus 6. Looking through photo albums it’s weird to see myself without glasses until a couple of years into school. Luckily I was taught to read at home before I first started school and I remember holding books up close to my face, a habit I still have now. Those old family albums also show another change as also aged 7 a mole grew on the tip of my nose. Later a specialist described it as a dogs paw mole. It never bothered me as it was fairly invisible from where I viewed it and kids at school affectionately called me Moley. I had a friend called Alex Mole in middle school so he was Moley too. The NHS only offered the most horrible looking specs to children. After growing out of the Joe 90 plastic ones infants still get today, I opted for the round tortoise shell style, later made famous by Harry Potter. I am so glad I’d long left school when those books started doing the rounds in 1997. I started Secondary school in 1978; the same year as Tucker Jenkins, Alan and Benny started at Grange Hill, I had a crush on Trisha Yates, played by Michelle Herbert. She’s now a receptionist for a double glazing company in Scotland. The characters had similar problems and adventures as most real life 12 year olds did when joining a large school full of hormone fuelled teenagers. Bullying was par for the course; suddenly being called Moley had an aggression to it when the older boys took the mickey out of my nose and jam jar lens glasses. Then in 1982 Adrian Mole aged 13 & 3/4s appeared in print looking remarkably similar to me; this gave the witty bullies my new name Adrian Moley. Luckily I left school soon after and at college the ribbing stopped. Tucker et al also left Grange Hill, Todd Carty starred in Tuckers Luck which ran for three series until 1985. My school years coincided with the beginning of Thatcherism where the mantra was ‘greed is good.’ Luckily Adrian Mole and Tucker Jenkins through their creators Sue Townsend (May she rest in peace) and Phil Redmond showed kids the stark reality for those not fortunate enough to have ‘Loadsamoney’. The 80s saw me in my teens to early 20s. Auf Weidersehen-Pet and Boys from the Black Stuff depicted the flipside of Thatcher’s so called economic miracle. Harry Enfield’s character Loadsamoney and the loathsome couple Stan and Pam with their catchphrase ‘we are considerably richer than yow!’ The miners’ strike and privatisations that promised riches to the masses were the backdrop to my adolescence. Then 25 years ago this week tragedy struck at Hillsborough; On April 15th 1989, 96 Liverpool fans were crushed to death at a football ground that although previously deemed as unsafe was allowed to host the FA Cup Final against Nottingham Forest. Immediately the right wing media headed by The Scum prompted by a corrupt police hierarchy and Thatcher’s administration; disgustingly lied and blamed the fans for their own deaths. 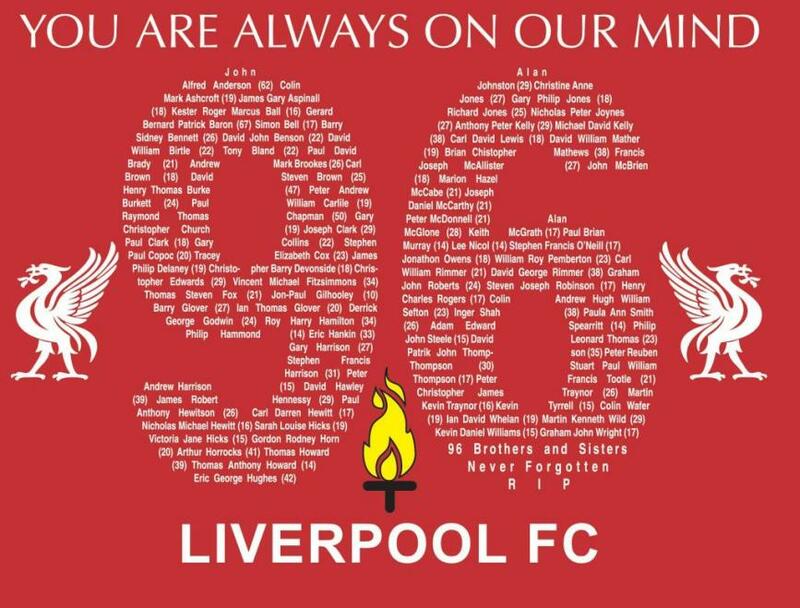 Liverpool FC staff (Steven Gerrard lost his cousin Jon Paul aged just 10) and thousands of others still mourn the loss of relatives, colleagues and friends that day. Finally a new inquest started 2 weeks ago; it makes painful reading as to just how families are still affected to this day. Hopefully now finally there will be Justice for the 96!